The Tragedy of Tom Watson…. 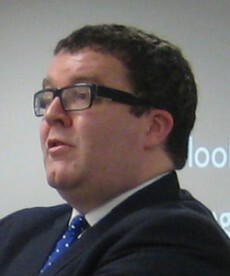 Tom Watson recently gave a candid interview too The Guardian; in it he pointed to the huge injustice done to Unite and too Labour by the meddling of the leadership in the Falkirk selection and its exploitation for their own political agenda. I can’t help but feeling reading the interview that the loss of Tom Watson is a huge blow to the Labour election machine and more than that, it poses some worrying problems for politics in general. Mavericks, individuals with minds of their own tend not to be rewarded well by our rather machine-orientated way of doing politics. Party machines and MP’s tend to have a co-dependent relationship; the finance and organisational support required to win an election are provided by them. Careers are dependent on the ‘good favour’ of the boss, ie, the Party leader and furthermore, MP’s are expected, in theory at least to represent a broad spectrum of opinions (something that is impossible realistically, an MP can never represent all their constituents opinions). Little incentive therefore exists for politicians to speak out and take a stand. On the face of this many people would see this as a good thing but it is not. It reduces trust in our politics because politicians are structurally coerced into toeing the line. It increases also the alienation of the political process from the individual, affects participation rates and in general is bad for democracy. Political parties should be spaces for dissent and should be culturally geared too the expression of a thousand different ideas. 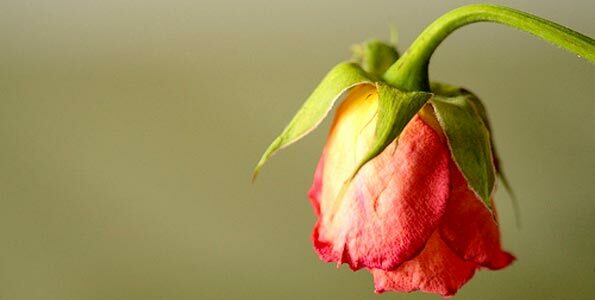 Individuals who have opinions should not be pariahs or feel they are put in a position where they have to resign. If this does not happen then it may not just be the careers of talented individuals at stake but also the long term health of our political democracy. It is the summer time, traditionally the time when footballers return from holiday and when politicians enjoy a particularly long one. However, no such luxury has existed for Ed Miliband who it has been announced this morning is planning a fourth reshuffle. This comes amid opinion polls showing a slow but perceptible and steady erosion of Labour’s position and news the economy is growing. 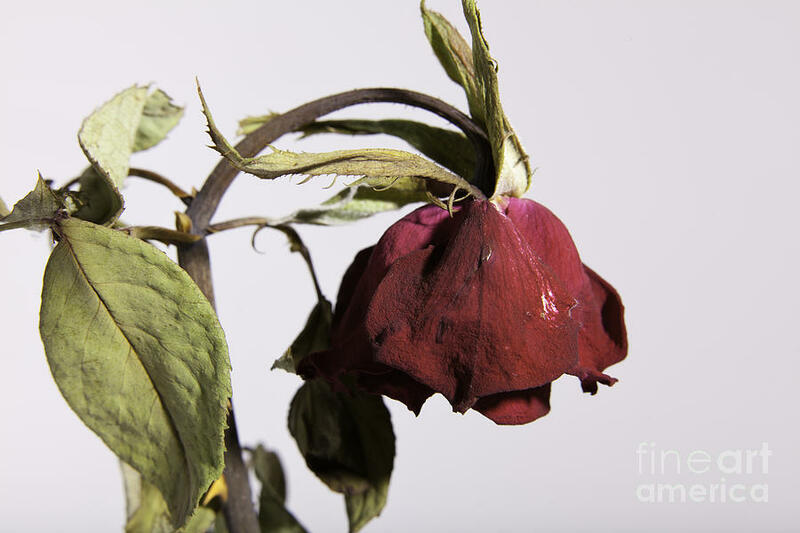 Labour’s polling position and its decline is a vindication of all those who have been rightly insisting that even when the advantage was reaching dizzying heights that this was not built on solid foundations and does not necessarily precede a certain election victory. Who now can seriously insist that this was not true? 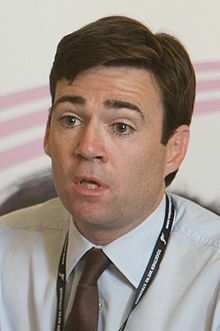 Andy Burnham has rightly spoken out and called for Labour to ‘shout louder’ and pointed to the very real risk of electoral defeat. I am not sure a Shadow Cabinet reshuffle is quite what he had in mind and neither am I convinced it is the panacea that is needed. It is certainly true that there are a dearth of ‘big hitters’ sitting around the top table and there are some, like Stephen Twigg, whose presence should no longer be required. However, it would be naive in the extreme to see this as the most pressing problem, it is rather a symptom of the wider malaise which is the lack of a discernible strategy and a broader vision for Britain. If you don’t believe me, ask yourself why the main focus of the upcoming conference is internal Party reform. What special kind of stupid suggests to the leader and his advisors that in times when your poll lead is declining, the economy is recovering and the punch drunk government is pulling itself off the ropes that this is what you should be worrying about? Also, it is worth noting that ‘One Nation’ Labour, which was a success at last years conference and should be being built upon this year, seems to have fizzled and faded like a fire cracker under the sea. What we have amounts to a crisis of confidence and that crisis of confidence stems from a lack of clarity, a lack of drive and vision right at the very top. When asked ‘How will Labour make Britain better’ Labour activists have no answers provided too them by the leadership which is too busy navel gazing (thinking a reshuffle is the answer proves this point beyond contention), the poll lead is shrinking, fundamental issues remain unaddressed (like the leaders poor ratings and Labour’s poor polling on the economy), in turn, Labour MP’s and even members of the Shadow Cabinet are losing confidence – how then can Labour and its leadership expect to inspire confidence in the electorate that they are fit to govern? Ed Miliband, following his ill-advised and discredited sortie into Falkirk, pledged to end ‘machine politics’. It is a noble sentiment indeed and one that should be applauded. However, the proof of any pudding is in the eating and for those involved in the local politics of Peterborough Labour Party, this particular pudding tastes sour. The leadership of the local Party has reportedly been endorsed by the national Executive Committee, one which Ed Miliband sits on. However, the selection is mired in allegations of vote-rigging, perhaps most seriously, the suggestion that postal votes were rigged. The culture of the local Party is such that it is run by a small, self-serving, clique who care little for democracy and mostly about their own position. They are engaged in a antediluvian struggle with rival personalities, some within the neighbouring North West Cambridgeshire Constituency Labour Party the content of which has little to do with substantive political differences and everything to do with petty personal feuding. Sadly, the culture of both local parties is twisted and distorted by this feud, Peterborough CLP is currently preparing a witch-hunt against dissenters and has rather incredibly co-opted a Party full-timer onto its ruling EC. The national Labour Party machine therefore has a representative on the sovereign representative body of an organisation that is supposed to represent the interests of Party members. Sounds a bit like ‘machine politics’ to me; little doubt can exist as well that the endorsement of the national EC has emboldened the local leadership in launching it’s witch-hunt. My estimation is that the national leadership made a political decision not to ‘rock the boat’ in what is ultimately a key-seat. This may make some sense politically but makes considerably less sense when you realise it is dependent upon the silence and complicity of Labour members, many of whom have had enough. Enough issues and concerns exist in Peterborough Labour Party to merit serious investigation and consideration yet it appears the Party machine has once again intervened against the interests of Labour members, the Labour supporting electorate of Peterborough and more broadly the long-term aims and objectives of the Labour Party. It has chosen to side with a local leadership whose democratic credentials and conduct are at best open to question and in doing so is going back on Ed Miliband’s word to end machine politics in the Labour Party. Is today the day that the election was lost? Today’s GDP figures are welcome respite for a spluttering British economy but they are surely terrible news for Labour’s electoral prospects. Ironically, the government is succeeding by doing precisely what it accused the Opposition of wanting too do, it is borrowing its way out of recession. 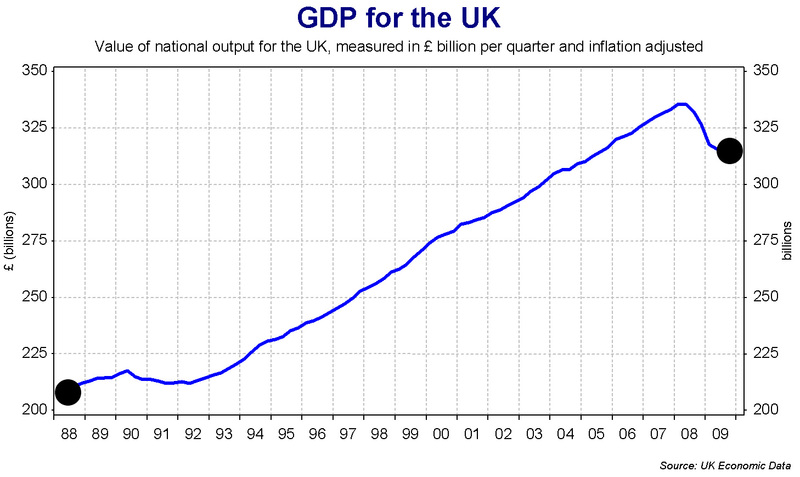 Government debt is ballooning, not falling as it was promised it would be. This points to an inherent instability in the current growth spike, GDP growth is modest and the gamble the government is taking is that it will not keep pace with the increasing cost of sustaining it. By 2015 the bubble may have burst so an early election is still on the cards. Labour has been left with very little room for manoeuvre and is indeed now wide open to a ‘Labour-danger’ campaign. The economy is still weak and concern about the economy is still top of the pops when it comes to what is on peoples minds. Given the fact that most people still blame Labour for the economic maelstrom, it is now wide open on its flanks to a Labour-danger campaign. I applaud the focus of living standards but it is very much a case of ‘right message, wrong election’, people will still be anxious enough about a frail recovery to worry about whether they are benefiting or not for a while to come. Strategically, Labour is in a bind, the momentum behind the ‘One Nation’ message and has been frittered away in a pointless, self-destructive, inward looking and self-indulgent attack on Unite. The relationship between Unite and Labour was never forefront in the voters minds as what worries them about the Labour Party is the perception that economically we screwed up last time around. Well done to the rabid Conservatives who have successfully convinced Ed Miliband his biggest problem is Len McCluskey when it really is not nor never has been. They made us look much like the Conservatives look when they become obsessed with Europe, like a Party which cares only about a topic which is a big issue for around 6% of the electorate. 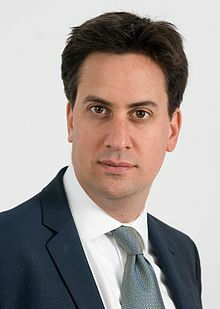 ‘Red Len’ is not what should be causing Ed Miliband to wake up in cold sweats, when he concedes on election night, this is the day he should look back on as the day he lost the chance to walk into Number 10. Ed Milibands speech today will no doubt be hailed but whether it deserves to be is another question entirely. Certainly, he exposed the crass opportunism of his and the Labour leaderships attack on Unite in one startling move, declaring his support for open primaries. If the open primary system were in place then nothing that Unite are alleged to have done in Falkirk or in any other constituency would be in any way a contravention of the rules. Indeed, such a system would allow Conservative supporters to vote in Labour selections. This new kind of tactical voting regularly occurs in American politics. Introducing ‘registration’ is neither here nor there, all you have to do is register as supporting one Party and then switch the register you are on when your primary comes around. If anything as a system it is more open to abuse than the current system of candidate selection. So, how can Mr Miliband keep a straight face, support open primaries and at the same time, attack the ‘disgusting’ alleged activities of Unite in Falkirk? Let’s be honest, Labour’s leadership has a problem with Unite because they have developed a strategy and are prepared to back that strategy with organisation and resources, it has nothing to do with a valiant defense of ‘democracy’, something the Labour leadership rekindles the flame of a passionate affair with every time the left gets a bit uppity. Having said all that, there were good things in the Miliband speech. The ‘opt-in’ approach to individual union member affiliation is the correct one and surely, thankfully, spells the end of the electoral college and union bloc vote at conference. Spending caps are pretty pointless and futile because they are always circumnavigated (again, ask any participant in American politics) and are gesture politics at its worst. Coupled with primaries spending caps actually potentially wind up promoting a more exclusive, not more open, politics because those who start from a resource disadvantage will never make the cap nor have the resources to campaign in a primary properly. All the evidence from American politics is that most of Mr Milibands prescriptions make the dependency of politicians upon money greater and make politics more, not less, exclusive. Overall, the speech did little to reinvent British politics or indeed Labour Party politics. Ed Miliband has no interest in ending Labour ‘machine’ politics because he is the Labour machine. Some people within the Party would do well to remember that. The truth of the matter is that ever since Labour lost power in 2010, it has been a Party-divided. In that sense, the Falkirk controversy is not unexpected, it is merely the bursting forth into public view a process that has been ongoing for some time. On the one side sits the likes of Unite, the trade unions and a gaggle of left groupings ranging the blood red Labour Representation Committee to softer shades of red like Next Generation and Labour Left. On the other, sits the standard-bearer for the parties liberal wing, Progess. This is the real story that lies behind events in Falkirk. We are seeing an awful lot of hand-wringing and unnecessary and hypocritical moralising. Local Labour Parties, much like any other political party, are usually run by small, self-selecting and often self-serving elites. This is much due to the decline of political activism as it is any Machiavellian plots (that’s not to say such plots dont exist, they do). In respect of the allegations of Unite rigging the Falkirk selection there is little hard proof on offer of the validity of these claims. We certainly should treat the testimony of Linda Gow with a distinct pinch of salt due to her obvious self-interest. The leaks of a ‘private’ internal Labour report seem to selectively target Unite. If there are any wrongdoings in Falkirk, then let’s have an independent inquiry so that we can have the truth. We have no confidence whatsoever in the so-called investigation that has been carried out by Labour party HQ. In the interests of openness it is the only right way forward. Anything less will only rub more salt into already gaping wounds. Len McCluskey’s interview in the Sunday Times will no doubt cause furore on the Labour right. It is the kind of interview only a self-confident and assertive union leader can give and its a sign of Unite’s growing assertiveness within the Labour Party. The significance for me was not so-much in the headline-grabbing disagreements over public sector pay nor the somewhat rhetorically over-blown implication that Mr McCluskey would want to start ‘purging’ Blairites (I don’t agree with ideological purges, as every regular reader will know) but in the strategic nuggets. Its campaign to bring Unite members into the Party and its role in the formation of Class were what really caught my eye because they show clear evidence of long-term, strategic deep-thinking going on right at the top of the union. In terms of bringing union members into the Party, who can possibly object? More members means more activists and more revenue raised and a greater impact on the wider electorate. The fact that these members would seek to influence the people around them in a certain direction is surely a given and ultimately there is nothing wrong with anybody seeking to win a democratic majority for their arguments through persuasion. Ditto when it comes to McCluskey’s pledge to only support Labour candidates who are in broad agreement with the aims and objectives of the union and who come from manual labour backgrounds. Who, after-all could reasonably expect the case to be anything else? Selecting candidates from a more diverse pool of backgrounds also strengthens our ailing democracy as well, not just the Labour Party. Class represents a concerted attempt by Unite to be involved not just in lobbying, by wielding the financial stick, but to seek to persuade and develop a coherent policy agenda which is in line with its long-term aspirations. He should have challenged the very premise of the question, that bringing activists into the Party was some kind of attempted hostile take-over. It isn’t, but McCluskey never challenges the implied assertion that it is, in fact, he seems to happily concur with the questioner. In letting things like this lapse, he gives the impression of being more clunking fist than sincere champion of his members (the job he was elected to do). This is a shame and it is an area where Unite, and indeed the trade unions in general, need to catch-up with the political classes, who long ago relised the importance of getting the presentation, framing and narrative right. We are at a point of record disengagement with the political process and most of those people that do engage do not bother to investigate the marco-level nuances of policy of what people are saying. The growing influence and assertiveness of Unite can only be a good thing for the Labour Party and the country in general which is crying out for a strong challenge to the failing austerity agenda, for alot more equality and a lot less liassez-faire. So, I welcome the broad strategic thrust of what McCluskey said, let’s see alot more of this assertiveness and hope it will transform the Labour Party back into one that is true to itself and its core values.